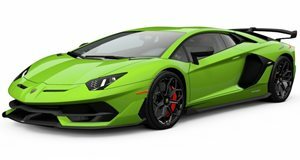 Only 20 examples will be made for about the price of an Aventador SVJ. Ginetta may not typically rank high among the sports-car manufacturers we commonly associate with Great Britain, focusing as it usually does more on race cars than the road. 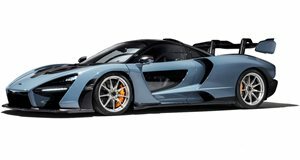 But it arrived in Geneva this year with a new model that might broaden its appeal beyond its usual clientele of racing teams and drivers (if its production weren't so restricted). The powertrain specs aren't anything to worry the likes of McLaren or Aston Martin. Its V8 engine (of otherwise undisclosed parameters) produces "just” 575 horsepower. But what it lacks in punch it makes up for with its light weight, tipping the scales at barely more than 2,000 pounds. That's less than a Mazda MX-5, but with nearly four times as much power. So it ought to deliver one heck of a thrill ride on the road or track. "We’re a small company but we pack a punch, and our customers should be the ones who truly benefit from that,” said Ginetta chief Lawrence Tomlinson. Only 20 examples will be made, 12 of which have already been spoken for. Each will command a £340,000 list price in the UK, which works out to about $450k at current exchange rates – or a little less than a Lamborghini Aventador SVJ. That price of admission includes a track program with access to Ginetta's full range, with production set to commence next year.